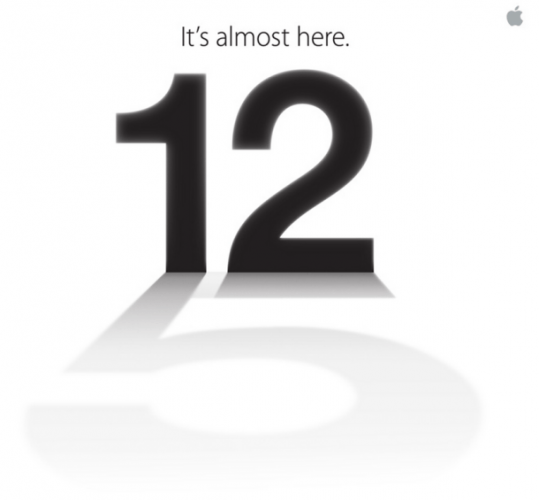 It’s Official: Apple to Launch iPhone 5 on September 12! JM Balicano September 5, 2012 Press Events 7 Comments on It’s Official: Apple to Launch iPhone 5 on September 12! There have been a ton of rumors as to what the new iPhone would look like and what the specs would be. Many are expecting a taller 4 inch screen, especially with a majority of consumers leaning towards phones with larger screens these days. There have also been leaks about the dock connector being shrunk down to make room inside the new iPhone so more stuff could be crammed inside. Of course, all these questions will be answered on September 12, but the more important thing is, when will we actually be able to buy it? Apple iPhone XS, XS Max, and XR Prices Revealed for PH! Apple iPhone SE and iPad Mini 4 Now Come with Double the Storage! Got to hand it to Apple the graphic with the shawdow of the 5 on the bottom is damm clever! Hilarious, but sad for your girlfriend. Not my girlfriend. Her officemate. Hey speaking of themes, yours is much better and more readable. Sorry, did have it right be clicked too early. Whoops! Yeah this one is much better than my last. Much happier. Hilarious, but sad for your girlfriend’s officemate.